Welcome to the Freedom from Obesity website. Dr. George Merriman, along with all of our staff, are so glad that you've decided to take this next step on the path to good health and a happy body. It is our honor to serve patients with support and weight loss surgery from the Alexandria, Louisiana area. At Freedom from Obesity, we do not simply perform a medical procedure and send you on your way. 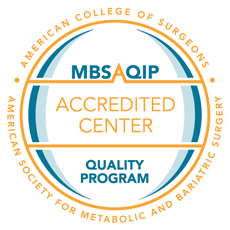 We work with you in the months leading up to bariatric surgery, during the procedure itself and on an ongoing basis in the months and years afterward. This full range approach allows us to make every effort toward your best mental, emotional and physical health. Among the surgeries we offer are lap band surgery, gastric bypass surgery and a vertical sleeve gastrectomy. Because every patient is different, and is better suited to a certain method than another patient, we carefully discuss and weigh your options to ensure the best possible outcome. You will work with a number of professionals regarding this significant decision. True obesity help must continue well after surgery. Our dietician will guide you through the ins and outs of nutrition and meal planning, and make it easier for you to observe a diet that is ideal for continued healthy weight loss. Eating well will also be good for your overall physical and mental health. For gastric banding, bypass and other weight loss surgery serving Alexandria, Louisiana, come to Freedom from Obesity. It will be our pleasure to assist you, and help you enjoy life with a happier, healthier body.